EU 2016-07-28 £5.39 €5.99 ? 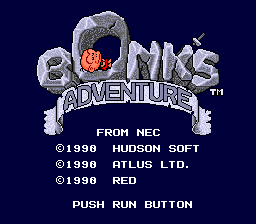 Bonk's Adventure, known as PC Genjin (PC原人) in Japan. Main article: Bonk's Adventure/Magazine articles. This page was last modified on 23 December 2018, at 05:50.